Zaiput Flow Technologies is dedicated to bringing innovative tools for continuous and batch separation processes to the market. We specialize in modular, scalable liquid-liquid/gas-liquid separators and back pressure regulators. As space travel and extraterrestrial habitation become a reality, it is becoming important to be able synthesize chemicals in space. 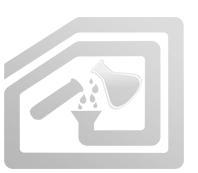 Liquid separation is a key step in liquid extraction, one of the common steps in pharmaceutical production. Congratulations to our Founder and CEO Andrea Adamo and his colleagues at Massachusetts Institute of Technology for this great publication! "We have been very pleased with the liquid-liquid separator from Zaiput. This device fulfills an important role in downstream processing of our flow chemistry equipment. " "The back pressure regulator works incredibly well for our process! The regulator we were using previously was a single stage spring-loaded regulator, and it was giving us terrible stop-and-go flow so we looked to your device to help fix this. Since we are operating slightly outside of the flow rate ranges that you have tested, there was some question as to whether your device would function properly for our process. Well the answer is yes! We have experienced absolutely no “chatter” or stop-and-go flow. I have successfully achieved pressures up to 100 psi, and the setpoint does not drift over time as we experienced with the spring loaded regulator. " "We have been using Zaiput liquid-liquid separators for efficient in-line phase separation in several projects successfully. They allow us to design multi-step sequences, to be run in continuous fashion for enabling scale-up preparations."